The Milky Way galaxy is a disc shaped spiral galaxy with a huge collection of stars, about 100-400 billion. We don’t know exactly, but we know it’s over 200 billion. Wow. Not bad for a mid-size galaxy! But compared to other galaxies and star clusters The Milky Way is small. So it’s a medium size galaxy. The solar system is located on one of the arms of the spirals. The milky way is 100,000 light years across. That’s a lot of miles! Scientists believe that when the milky way galaxy was formed all of those billions of years ago, that a super massive black hole was also formed at the same time. They believe that the black hole was formed when a massive gas cloud collapsed in on itself. Everything in the Milky Way scientists believe revolves around this black hole. Let’s park black holes for now. We will explain what black holes are in a different section. As we are in the Milky Way, all the stars that you see in the nights sky are a part of the milky way. From anywhere on Earth we can see up to 10,000 stars, however that is not a lot compared to the amount of stars that are hurdling throughout our galaxy. So while you can only see a small amount of stars, we know that there are billions more stars in the milky way through the use of very advanced telescopes. So while we can map our mid size galaxy, we cannot see it in that way, as we are inside this amazing thing. What we can see however is our nearest neighbouring galaxy. Called Andromeda. This galaxy is also a spiral galaxy an is as fascinating as ours. # 1. The sun travels around the Milky Way at about 500,000 miles per hour. # 2. The sun takes about 220 million years to travel around the Milky Way just one time. # 3. 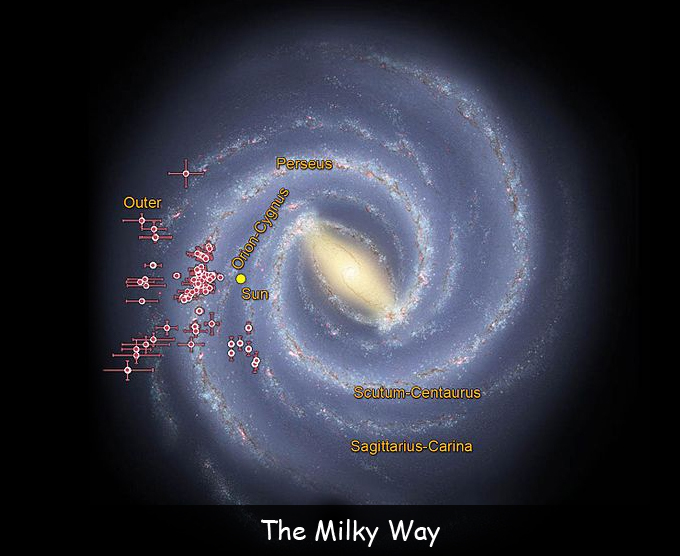 As we live within the Milky Way, we don’t actually know what our galaxy looks like. We know that it’s a spiral galaxy, so any pictures you see of our galaxy are taken from other spiral galaxies in the universe. Q. How long does it take for the sun to travel around the Milky Way? Q. How many stars are in the Milky Way? Q. 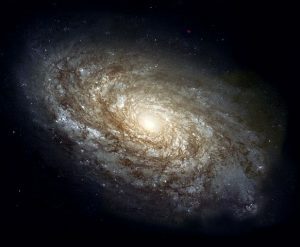 What is the galaxy next to the Milky Way called? Q. How big is the Milky Way across? Q. How big is the Andromeda galaxy compared to the Milky Way? Key Vocabulary Universe. Galaxy. Solar System. Black Hole.